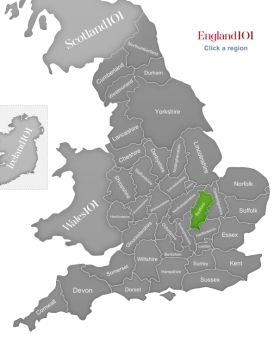 Situated in the East of England region, Bedfordshire is the smallest of the traditional “shire” counties, meaning that it has no large cities to speak of. But that is not to say that Bedfordshire doesn’t have its claims to fame, the most well known of these being Luton Airport, which is a base for many budget airlines offering flights to London (despite the fact that Luton Airport is more than 30 miles outside of London in the southern part of Bedfordshire). The existence of the airport has also given rise to numerous large companies being based in South Bedfordshire, not the least surprising of which is supremely orange British budget airline, easyJet, which is headquartered at Luton Airport. Vauxhall Motors and Costa Coffee, two other iconic British brands, are also based in Bedfordshire. The county’s most famous son is 17th century Christian writer, John Bunyan. Bunyan was born in Elstow, Bedfordshire. In later years, the writer was persecuted for preaching outside the church and, while imprisoned in Bedford County Gaol, he wrote his masterpiece, The Pilgrim’s Progress. 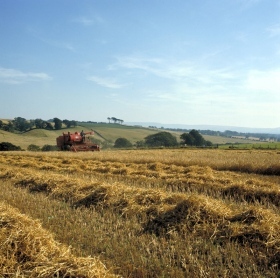 Bedfordshire’s rolling landscape inspired the setting for the book, including the Chiltern Hills, a chalk ridge that stretches across the southern part of the county, which Bunyan named the “Delectable Mountains” in the book. Visiting Bedfordshire is all about the soft countryside. 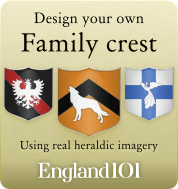 Woburn Abbey is an impressive 12th century Cistercian monastery that has housed the Dukes of Bedford for the past four centuries, while the adjacent Safari Park is one of the U.K.’s most beloved zoos. 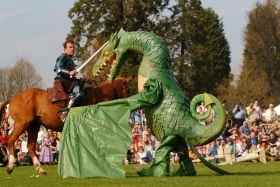 Likewise, Wrest Park near Silsoe is an ornate mansion and walled garden built in the 1830s that has recently been restored and hosts a number of festivals, including costumed re-enactments for St. George’s Day. 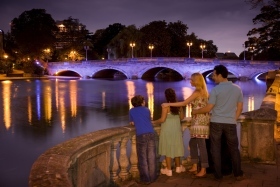 In Bedford, the county town, the Embankment is a large promenade along the sleepy River Ouse, which is particularly impressive at night when it offers views of the bridge is awash in delightful colours. 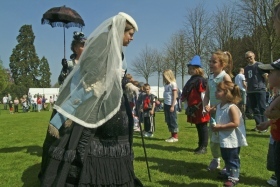 Queen Victoria talks to a young child at St. George’s Day Festival, Wrest Park Bedfordshire. River Ouse from the Embankment towards the bridge and Bedford at twilight in Bedfordshire. 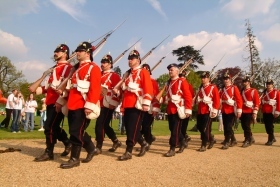 St. George's Day Festival Wrest Park Bedfordshire A re-enactment of soldiers marching. Wrest Park, Bedfordshire credit Britainonview.